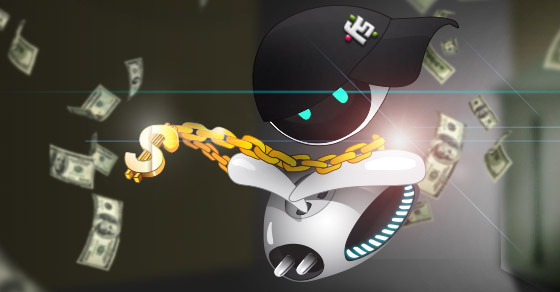 At Freemius, we work closely with our partners, so we get a unique opportunity to encounter some very interesting monetization use cases and business models. Today I’d like to share one specific example that can help many WordPress agencies (and freelancers) to increase their monthly bottom line with in-house developed plugins & themes. This is the success story of Ryan Theis, a partner of ours. Ryan shares how they did it at their agency – BNG Design, an Inc 5,000 Web Design & Marketing agency from Fargo. Ryan – thank you so much for taking the time to make this interview, I’m sure many agencies & freelancers will be excited to learn from your creative way of upselling custom developed plugins to your clients. Could you please start by telling us about ‘BNG Design’? ‘BNG Design’ is a web design and marketing company based in Fargo, North Dakota. We started in 2012 as one of the four divisions of BNG Team. The thing that caused me to start BNG Design was seeing a gap in the local market that wasn’t being filled. I had gotten into building websites and marketing online in 2007, shortly after starting with BNG. At that time I was selling payment processing services and hated selling door to door to local businesses and figured there was probably a better way to sell our services. I taught myself how to build websites and code so that I could market our payment services online. It helped BNG go from four college dropouts chasing the dream of recurring revenue and working out of our basement to one of the fastest growing private companies in North Dakota, with over forty full-time employees and counting. It worked so well for those early clients that I saw how big of a gap we could fill! Since starting BNG Design it has been full speed ahead, adding talented people to the team and letting them learn and grow, all the while helping our clients grow their businesses. 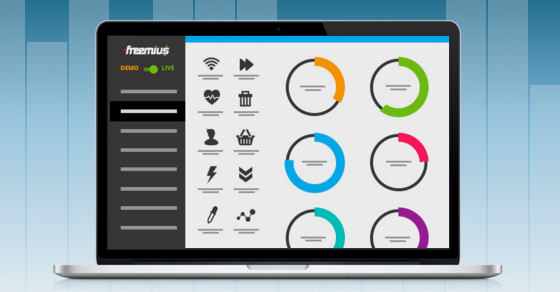 Could you tell us a little about the plugin that you are selling to your clients with Freemius? The plugin is an integration between Gravity Forms and ConnectWise Manage. We call it the ConnectWise WordPress Plugin. ConnectWise Manage is a professional services automation (PSA) software, used mainly by IT and Managed Services Providers. It is like a CRM but with ticketing, project management and a bunch of other cool stuff. Our integration takes a lead capture form, built with Gravity Forms on a WordPress site and it pushes that lead data into ConnectWise. It creates company and contact records and starts the automation process needed to properly manage a company’s sales process, or it creates detailed support tickets. Here is our short explainer video for the plugin. 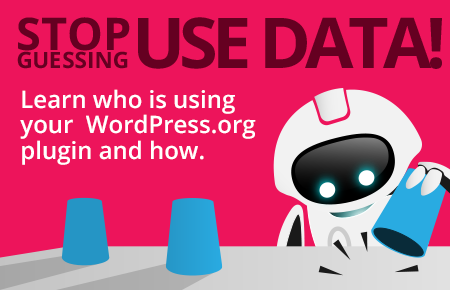 What spurred the initiative to develop a custom WordPress plugin? Was it a recurring request from clients? We had been using ConnectWise since 2010 for BNG’s point of sale division. Early on we started searching for a solution to get leads from our WordPress websites into ConnectWise in an efficient manner. We looked at multiple “solutions,” but nothing seemed to do what we wanted. In 2015 that “want” turned into a “need” when we decided to move all of our business activities from several different CRM solutions into ConnectWise. We had been talking with other ConnectWise users, and it seemed that this was a bigger problem than just we were having. Hack together something quick and dirty that would solve the problem for just us. Build it out as a premium WordPress plugin that would both solve our problem and would also be marketable to the ConnectWise community. What does the plugin sales process look like for you? Since we are selling to a small niche market and are solving crucial problems we take a very hands-on approach to the sales process. Using email marketing, organic search, and a little bit of paid ads we drive prospective clients to our plugin’s landing page on BNG Design’s website. On that landing page, our call to action is to request a one-on-one demo. We schedule the demo call and screen share, where we go through the basics of what our plugin does and talk to the prospective client about their struggles. Through this conversation, we find unique ways we can help them solve multiple problems from their lead generation forms, or support request forms to automating employee PTO request forms. Once they see what it all can do for them and are sold on it – we schedule a setup consultation call. On the setup call, we bring them to a purchase page on our site with Freemius Checkout on it. 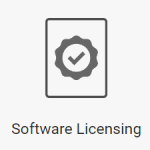 The client goes through the checkout process and then instantly gets a confirmation email sent from Freemius with their license and the plugin download. We then walk them through the plugin installation and activation to help them get everything up and running by mapping their forms with ConnectWise. How do you price it? Is it a fixed price, or do you charge clients based on the budget they have for solving that problem? Well, it is a fairly simple pricing model with tiers based on the number of websites they need it on, and we also charge for the setup. We do offer promotions on the setup fee at times since it is in our best interest that it is set up and working the way the client wants it to. If it isn’t configured to do what their unique business needs dictate, they wouldn’t have a good reason to keep paying us for it, so we walk the extra mile making sure it is working for them. Since we have such a small prospective market for this plugin, and because we spend the time customizing it for each client and offer a level of support that I haven’t seen in any other WordPress plugin we have to price it at a point that is really outside the norm for plugins. What we are doing is really in the realm of SaaS solutions, and Freemius helps us be able to bill it just like a Saas. You guys are using Freemius with monthly subscriptions (go SaaS!). Do you get any negative feedback from clients about not charging on an annual basis, like most of the premium WordPress plugins & themes? No, we don’t get too much negative feedback about charging monthly. All of our clients are used to paying monthly for software. The only thing they do not pay monthly for is other WordPress plugins. I think there are few reasons to charge annually for software. It is almost always better for the software user to pay on a monthly basis, and it is always better for the developer. Do you think you were just lucky by finding this niche or is it something replicable, that other WordPress agencies and freelancers can also do? Definitely not lucky. Building a sustainable business model, service or product takes a lot of persistent work. Don’t be afraid to take shots, not everything will take off, but what you need to do when you fail is learn as much as you can from those failures. Everyone has new opportunities that come up every day; it just takes a keen eye to notice them. Think about the problems you have throughout any day, can you build a product or service that can help solve that problem? Could that solution help other people? What type of plugins & themes with a similar subscription-based model do you think other agencies can upsell to their clientele? If you have a specific niche you are in; you will notice that a certain number of your clients experience the same handful of big problems. If you have a way to solve one or more of those big problems with a premium plugin or theme, that would be a perfect case to use a subscription based billing model. If you don’t have a plan to start making recurring revenue in your business, that should be bumped up to be your number one on your priority list. Do you guys plan to build more in-house semi-commercial plugins or themes? 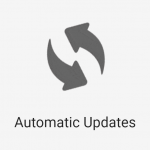 Absolutely, we have a couple more plugins getting finished up right now, with many more to come. What was the reason you chose to sell the plugin with Freemius Checkout vs. other eCommerce solutions such as EDD or WooCommerce, or even marketplaces like CodeCanyon or CreativeMarket? I was so happy when I saw Freemius when it was first announced. Freemius was almost exactly what I wanted. I was struggling at the time trying to figure out a way to sell the plugin since everything else was either a less than ideal billing model, or I would have had to piece together a bunch of moving parts to get to a solution that would offer recurring billing and handle the licensing and deployment. What is your favorite thing/feature about Freemius? Honestly, my favorite thing is that Freemius is run by entrepreneurially minded people that are building a really cool product that is changing the WordPress industry for the better. Every WordCamp I go to I hear speakers talking about giving back to the WordPress community. The best way to help the community is to show them that they can charge for their work, and billing like a SaaS is the way to do it. The best way to help the community is to show them that they can charge for their work, and billing like a SaaS is the way to do it. 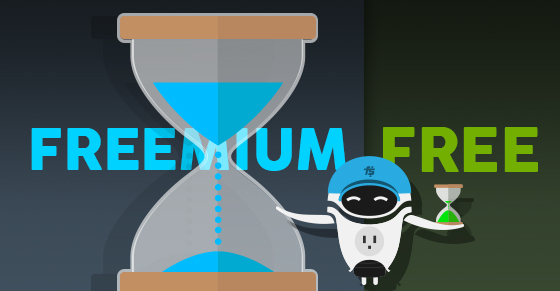 How long did it take your developers to implement Freemius and bring the plugin from free to fully monetized? It wasn’t long. If I remember correctly, it was less than a day from start to fully tested. How was your experience working with the Freemius team? They have been great. Very quick and thorough support. Everyone has been top notch. Thank you so much, Ryan, for your detailed answers. Looking forward to seeing your business grow and prosper! 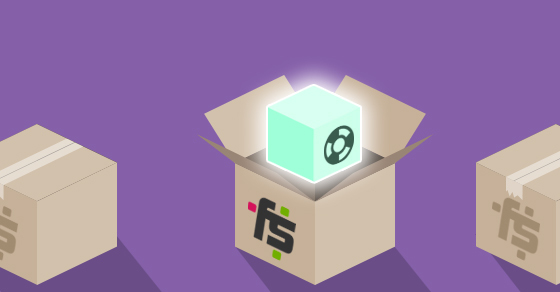 Is your WordPress agency thinking about a transition to a subscription-based payments model? If you are considering it – see a recap of the process below. If you haven’t thought this option through yet – you should initiate an internal discussion about it inside your WordPress agency. You’ve already got all of the required ingredients in-house, so why let it go to waste? Surely, if you’re a WordPress services agency you frequently come across recurring problems your clients need solutions for. The first step would be identifying and making a list of them. Hack together something quick and dirty that would solve the problem for those specific clients? Build the solution from the grounds up as a premium WordPress plugin, marketable to the global WordPress community? When you’ve made the decision about which problem you’d like to solve with a WordPress plugin you should create a rough version and release it for existing clients to use on their WordPress website. Remember that, since you’re building this solution for them – you can bill them for those development hours. It’s also crucial to get their detailed feedback on your solution to their problem at this initial point. Create a Freemius account and set up your preferred subscription plans & pricing for the plugin. Create a purchase page and embed the Freemius Checkout (buy button) into it. 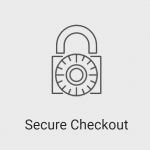 The client will be able to quickly go through the checkout process and instantly get a confirmation email sent from Freemius with their license and the plugin download. Continue to iterate on your plugin, adding requested features and supporting existing clients, as well as marketing it to new prospects.